1986 sci-fi adventure - biggles gets a uk blu ray release here in the uk on monday,i have watched it upon its original release but can now remember next to nothing from it. from reviews it seems very much a love it or hate it affair with some calling it a fun old school action adventure whilst others are calling it a big turkey (a flying one with pilot goggles on). 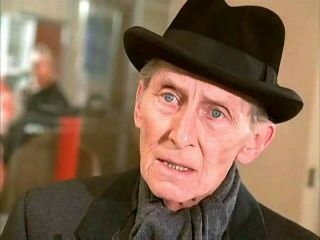 i know it was the great peter cushing's last role,he passed away in my home city of canterbury back in 1994 as he lived in the sea side town of whistable which is just 6 or 7 miles from where i live. he was meant to have been a really down to earth guy who was often seen cycling around town and mingling with the locals. any biggles fans out there? I am not 100% sure but my old man was a bit of a sci-fi freak and used to hire all kinds of weird movies. I reckon I remember seeing this and as I can remember it was one of the good sci-fi movies compared to other ones he used to rent. I would be keen to watch this again. It must have been late 80's when I think I saw this. 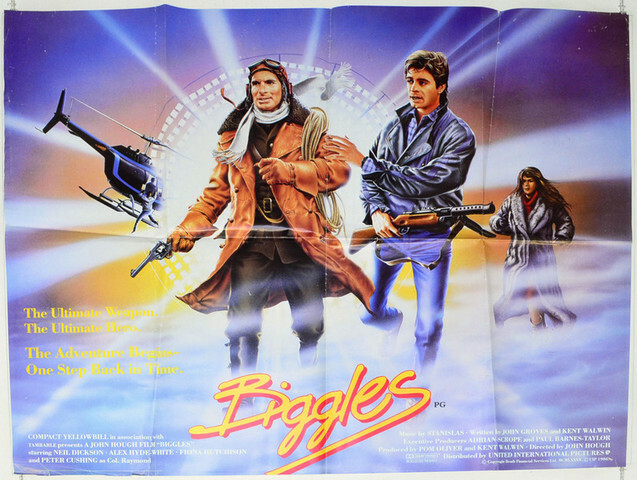 Watched Biggles and it was ok timetravel adventure film, pretty goofy stuff but still entertaining. The cast did a decent job but nothing extraordinary. Tere´s some nice airplane action and Beckton Gas Works is a cool place to film, they also made one big scene there for the movie Full Metal Jacket. The score is interesting because the film is partly set in WWI and there´s the Jon Anderson high tech aor theme tune for example.